Elevate your game with the Sennheiser headsets this ESGS 2018! 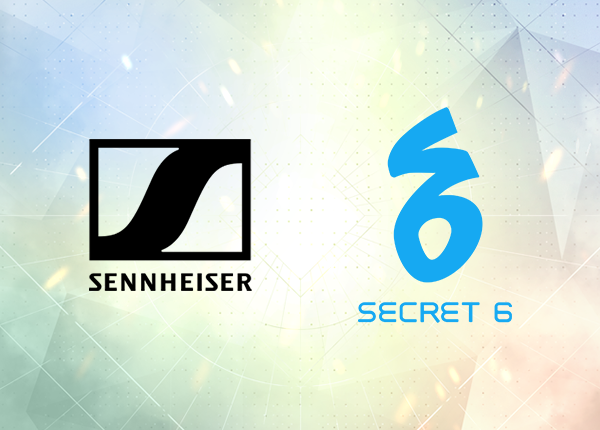 Secret 6 partners with Sennheiser once more to bring the next level of gaming immersion with Project Xandata at Esports and Gaming Summit 2018. This October 26-28, ‘Project Xandata will captivate everyone at the SMX Convention Center with new game content and improvements, exciting activities and prizes, and Sennheiser GSP 350 Surround Sound Headset – making matches even more immersive with its closed back architecture and high-end acoustic technology. Sennheiser aims to shape the future of audio – a vision built on a 70-year history of innovation and continued drive for excellence. In their amazing effort to continuously set trends in the audio industry, they have joined the competition to create the best gaming headset imaginable. Secret 6 and Sennheiser got participants of Pinoy Gaming Festival to experience this outstanding headset earlier this year. In just a few weeks, you’ll get to experience it once again. Project Xandata, a skill-based competitive first-person shooter developed by veteran game developers from Secret 6, will be coming to ESGS 2018 with a brand new set of weapons imbued with perks that modify effects and new skills that provide even more playstyle variety. You’ll get to experience these new updates as you participate in the Prestige Pass – a booth activity that asks you to complete 4 in-game challenges in exchange for exciting Project Xandata merchandise. With Sennheiser, an immersive Project Xandata experience is assured. Enjoy superior sense of direction, feel the rumblings of your weapons and skills, and get to utilize crystal clear communication to ensure your team’s victory. Check the Sennheiser Facebook page for news on their products! Follow Project Xandata and Secret 6 Facebook page for more event updates. The Studio of Secret6, Inc.